The SU-6800 Mini is as the name suggests as smaller version of the SU-6800. Small in stature, big on features. 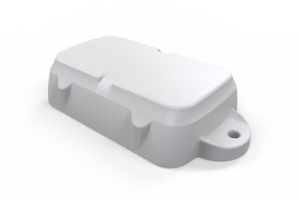 The SU-6800 Mini is a compact, rugged GPS tracking device that has been designed for tracking containers, trailers, skip bins, and other assets where super-long battery life is required without sacrificing the frequency of updates and performance. The IP-67 rated housing is rugged and UV stable, so the SU-6800 Mini can be mounted on assets that are exposed to rain, dust and marine conditions. By utilising the latest technology, the SU-6800 Mini can operate in ultra-low power modes, and with an incredible battery life of up to 5 years the SU-6800 Mini can be attached to assets and tracked without needing to change batteries. The SU-6800 Mini has built-in antennas for GPS reception and for cellular communication, a 3D accelerometer, a high-performance GPS that can track both GPS and GLONASS satellites simultaneously and flash memory for storing non-volatile information. The SU-6800 Mini uses 3 x AA 1.5V “off the shelf” Lithium batteries. These are generally available at retail outlets from manufacturers like Duracell and Energizer. Industrial 1.5V Lithium AA batteries are also available at bulk pricing. The Lithium batteries have excellent performance and capacity, and allow the SU-6800 Mini to be used in extreme temperatures and climatic conditions that other tracking devices simply cannot operate in.